Do you mulch your vegetable gardens? If you don’t, you should. The right mulch helps retain moisture, prevents weeds from getting a foothold and even enriches the soil as it breaks down. Compost is one of the best materials to work into your mulch, no matter what type you use. If you don’t have enough of your own, you can purchase it from many municipal yard waste centers. To prevent bagged leaves from blowing around in the garden, you may want to shred them with your lawn mower or allow them to partially decompose before applying. All of these have their own benefits and some have drawbacks (sawdust, for instance, can temporarily decrease nitrogen levels). The best mulch is often a mix of several types of organic materials to get the best of each. 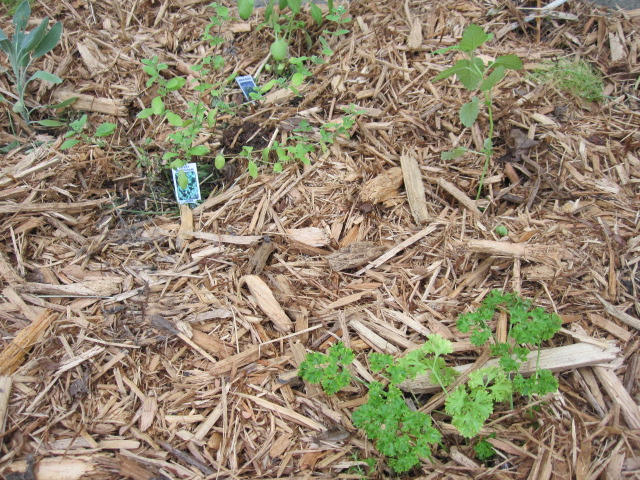 Mulches make vegetable gardening so much easier, and have a place in every garden. If you have a favorite mulch that’s not on the list, please leave it in the comments!